The man who led the campaign calling for a Brexit, or British exit from the European Union, is stepping down. Less than two weeks after the country voted to leave the EU, Nigel Farage resigned as UK Independence Party (UKIP) leader Monday, saying his "political ambition has been achieved." It was news that had a lot of Brits feeling a little déjà vu. While unexpected, Farage's decision to tender his resignation in the midst of political and economic uncertainty has been a common course of action for the politician. Monday was Farage's third time resigning as UKIP leader, although he vowed not to change his mind this time around in a press conference in Westminster. "During the referendum, I said I wanted my country back," Farage said. "Now I want my life back." Farage first resigned as leader of UKIP in 2009, three years after stepping into the role, in hopes of being elected to British Parliament in the 2010 general election. He was re-elected as party leader, however, after failing to garner enough votes to win a seat. Farage offered up his resignation as UKIP leader for a second time in 2015 after losing the South Thanet seat in Kent during the country's general election but the move was rejected by UKIP members and Farage was forced to stay on as leader. Known for returning to political life post-resignation, Farage seemed unsure if his third go around would really be the end of his time in the political spotlight. "Let's see where we are in two and a half years' time," he told reporters when asked about the possibility he'd return to lead the party ahead of the 2020 general elections. "I don't ned to be leader of UKIP. I will be part of the 2020 campaign if we don't get what we want." Farage's most recent resignation was not without some controversy, however. Critics reacted with outrage to news Farage was stepping down while Britain was just beginning to navigate its break from the EU, with many accusing him of "jumping ship" before he could be held accountable for spearheading the Brexit. 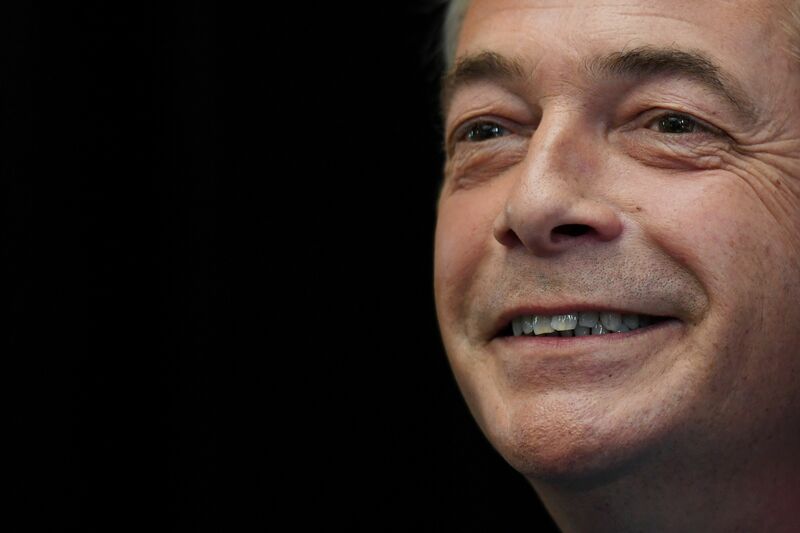 Farage's resignation comes just days after fellow Leave campaigner Boris Johnson announced he would not run for Tory leadership following Prime Minister David Cameron's resignation. In his press conference Monday, Farage emphasized he was "not a career politician" and had stepped into leading UKIP only "because I wanted my country back." He claimed the results of the Brexit referendum had restored the country. "Being part of a national campaign that attracted 17.5 million votes for Brexit, says to me that tough though it's been at times, it has certainly all been worth it," Farge said of his time leading UKIP.